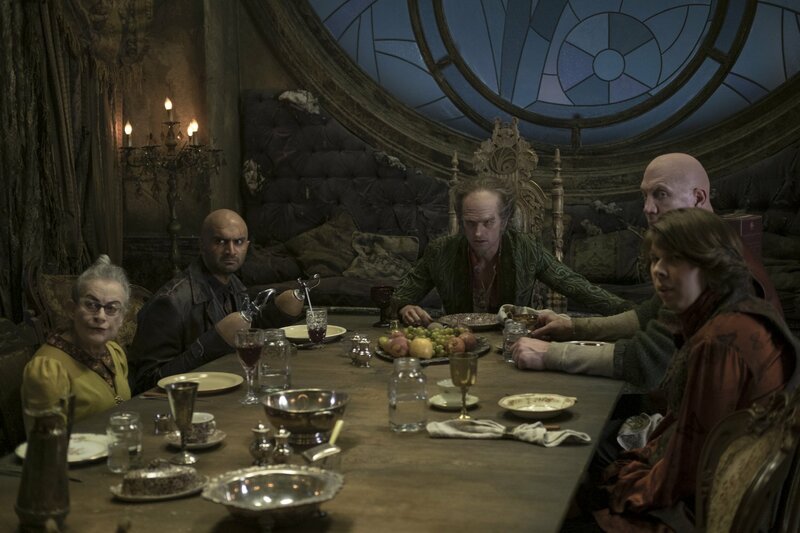 I shall admit my familiarity with Lemony Snicket’s A Series of Unfortunate Events is virtually non-existence, I never read any of the books, nor did I see the Jim Carrey film that came out in theaters in 2004. But while watching a fellow #TeamEmmmmsie member’s twitch stream (I believe it was Danielle’s Twitter Handle @DanYelltwitch) it came up and since we’re still a week away from the return of the CW’s lineup of DC Universe base shows, I figure why not sit down and watch Netflix’s latest original series. Right from the start with Episode 1, title ‘The Bad Beginning’ with the theme song telling us to ‘look away and don’t watch’, it’s quite clear to me that I was going to enjoy this because it established a farily dark, twisted sense of dry humor that was reenforced when we are introduces us to the narrator ‘Lemony Snicket’ played by Patrick Warburton, who conveys to us the backstory of the Baudelaire Children (Violet, Klause and Sunny), a trio of bright likeable kids who on a day to the beach to work on one of their inventions, learn that their parents are apparently killed (revealed not to be case at the end of the episode), and end up in the care of Count Olaf (played by Neil Patrick Harris) who is eager to get his hands on them because they are inheriting their parent’s fortune, but it only becomes accessible when the eldest Violet turns of age… and also to use them as servants for his large home while making their lives as miserable as possible (a fact that he states out right when he says he’s much worse than they thinking him to be). 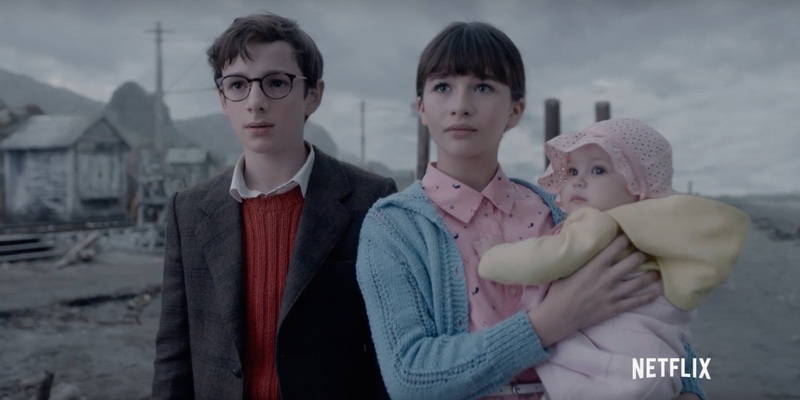 What is very much clear while watching the first episode is that a lot time, effort and care was taken into adapting the source material, everything is presented in a nice flowing narrative from point a to point b, to c, to d… etc, etc, and long the way we see a number of different circumstances where things could be different for the Baudelaire trio, particularly when we see that Justice Strauss (played by Joan Cusack) shows interest in them would clearly love to have them be her family, since it’s clear that she is ‘married herself to the law’. Perhaps my favorite seen is when the Baudelairs are forced to make dinner for Olaf and his theater troup, starting from when they return with food to prepare and seeing Olaf do an over the top song and dance number ‘It’s the Count’ which they are less than impressed by, then seeing them go through the process of preparing the food, giving them a small bit of ‘hope’ when it comes to the idea of making it work living with Olaf cause it’s better than nothing… and then seeing their efforts crapped on when Olaf says he wants Roast Beef leading them him striking Klaus when he argues with him. It’s a perfect series of scenes that builds up things up for a dramatic finish with Klaus telling Violet that being with Olaf is not ‘better than nothing’. 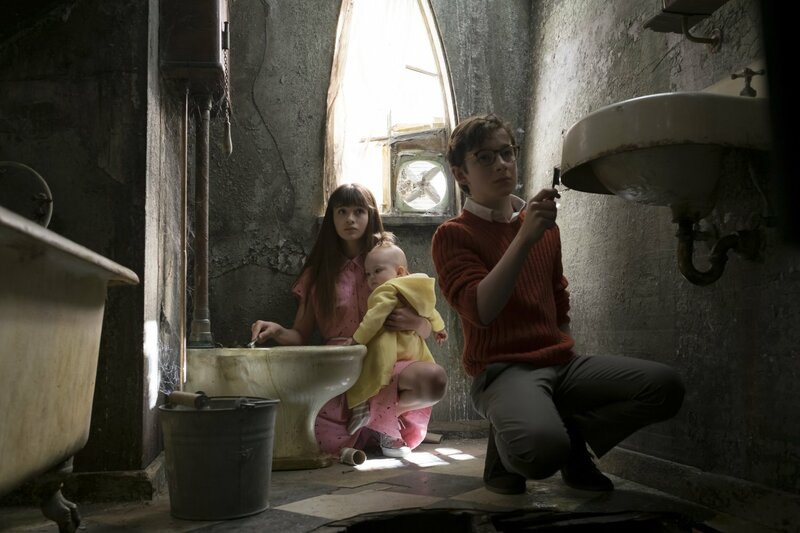 I have to give great credit to the child actors, since the story will be revolving around them, Malina Weissman (plays Violet), Louis Hynes (plays Klaus) and Presley Smith (as Sunny) are phenomenal… though it must be said that Smith is a baby, while Weissman and Hynes are both about 12-13 years of age, and it’s been said that working with babies and animals is very difficult, but I get the vibe that Smith is very mild-mannered tot. 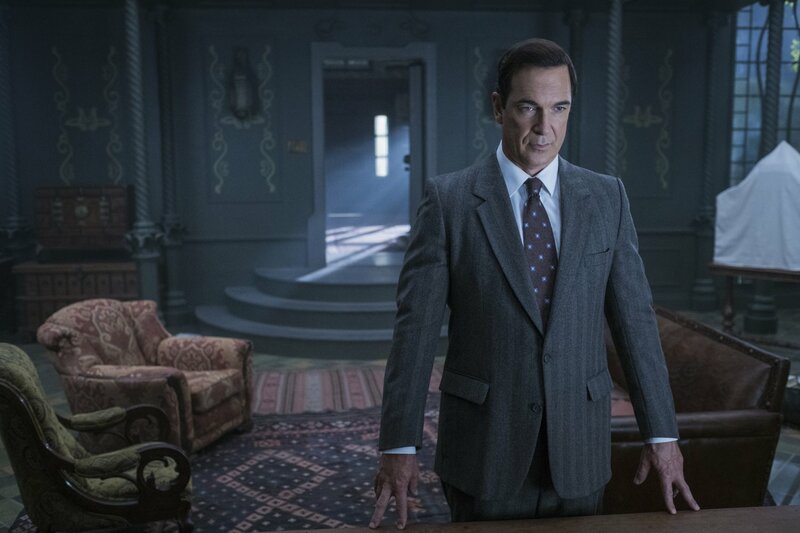 Since they share the most dialog, Weissman and Hynes play off each other very well, and they more than step up their game when having to work off of Nail Patrick Harris, who is rather over the top as the theatrical Count Olaf. 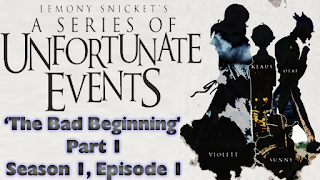 Now the plan is go over episode two, The Bad Beginning part two tomorrow either before or after my review of this week’s episode Marvel’s Agents of SHIELD. Coming up later today in the Basement will be part two of my look at Doctor Who: The Crusade… and then we welcome back Gotham to the Basement with the kick-off of the second half of Season Three. So my friends and you are my friends, be kind, subscribe and we’ll see you next time.